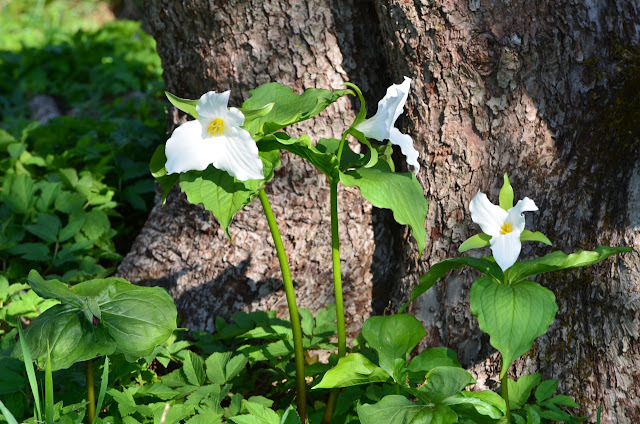 The gardens, fields and forest floors are dotted with fresh spring wildflowers. 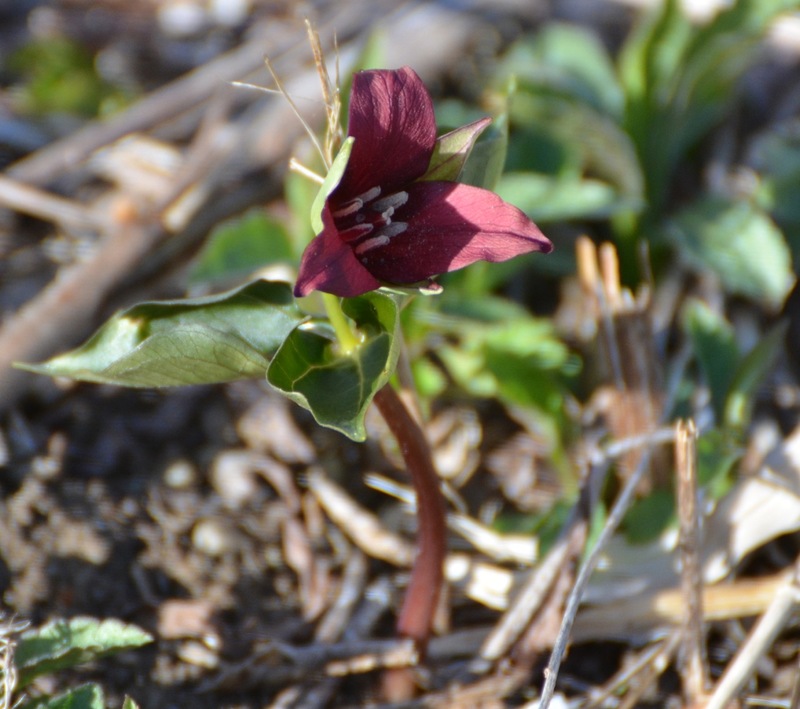 A delicate dancing red Trillium magically lifts itself up into the light. 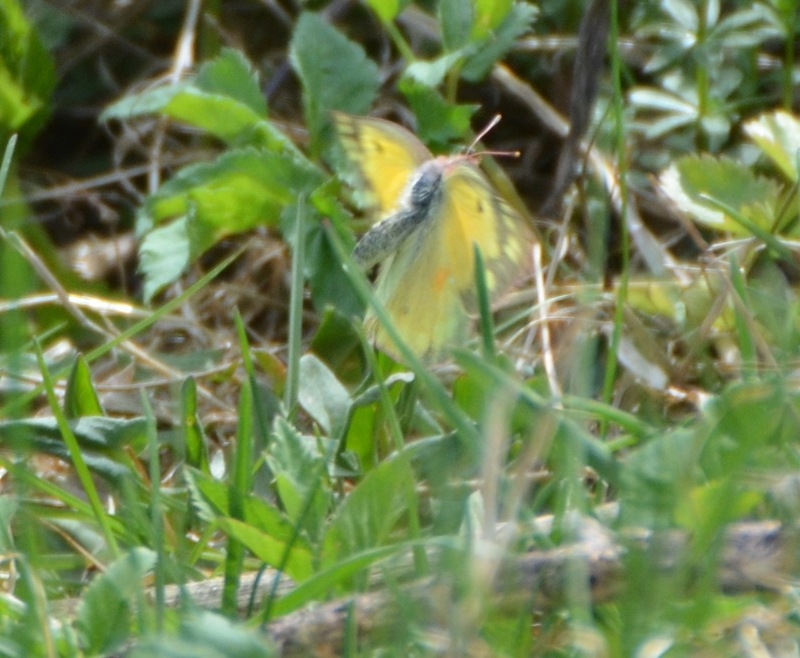 An early to emerge Orange sulphur Colias eurytheme, flying about looking for vetch no doubt. I am excited to see that the chrysalis survived our winter and hungry birds. April is suppose to bring showers but this year there have been few and I guess that is good for butterflies. 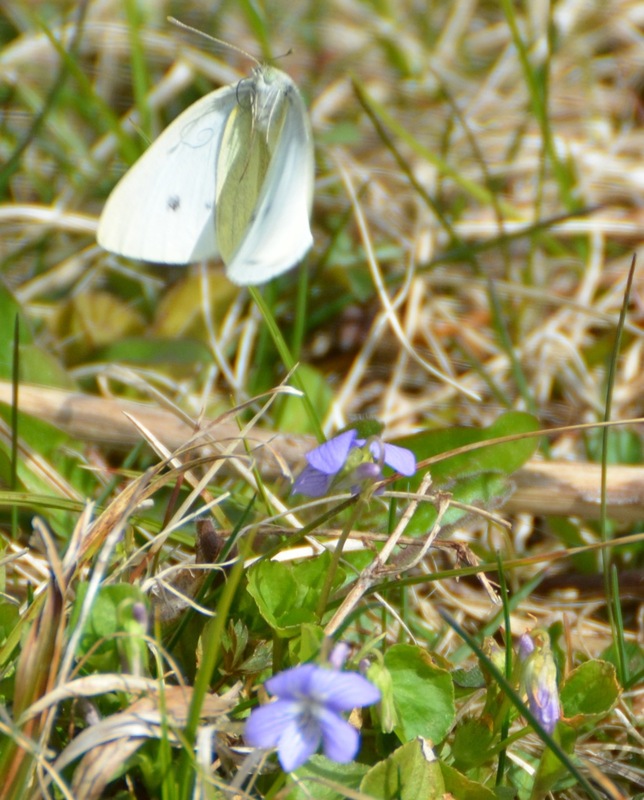 I have never seen so many flying wildflowers this early before. 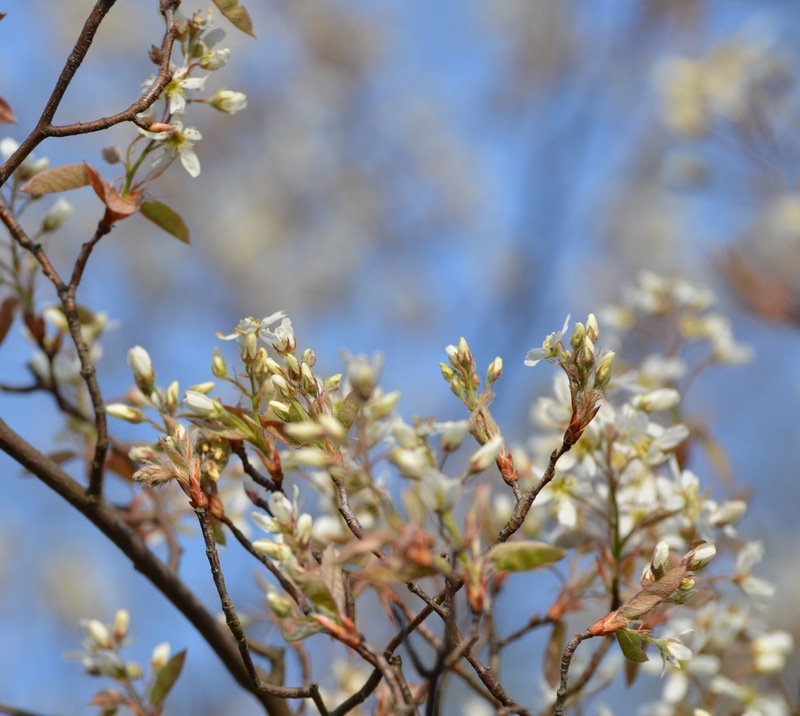 The warm spring has encouraged emergence and I hope the dipping below freezing temperatures will not harm the wild winged creatures. Black Swallowtails are awake very early too. I eyed this female depositing an egg and found it right in the path. I was surprised to see that the egg was attached to a piece of Bishop’s weed. An invasive, pernicious plant of the carrot family . 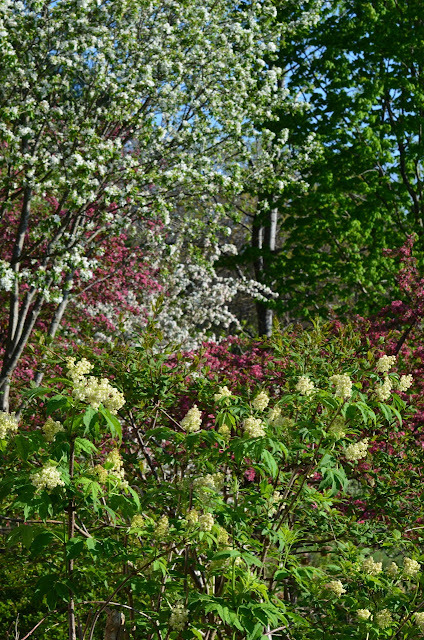 . . and this may be a way to rid my gardens of at least some, but it is hopeless to ever be free it. I will be raising the caterpillar in a safer place indoors and will gladly harvest Bishop’s weed for it to eat. 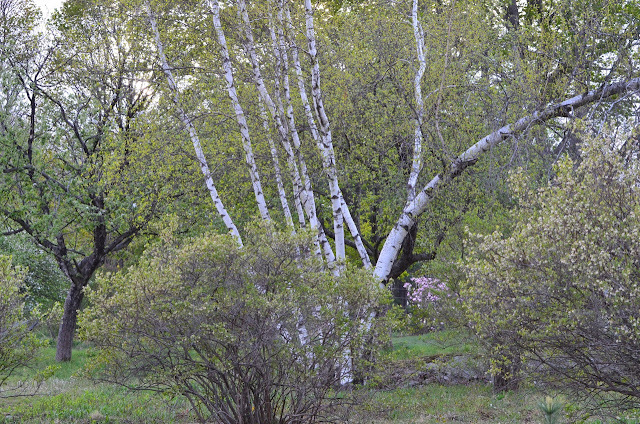 I will place some Queen Anne’s Lace near it too just in case. 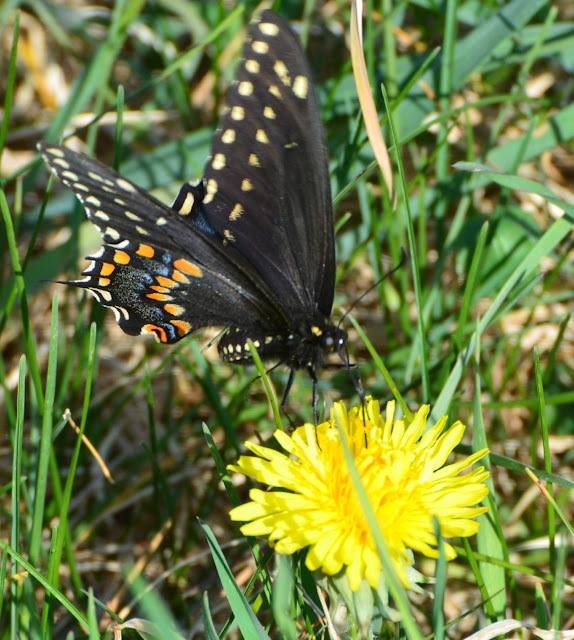 Dandelions are popping up in the grassy paths and fields. An important nectar source for the butterflies and the greens are great to eat . . . richer in iron than spinach. I do not understand why so many hate them. 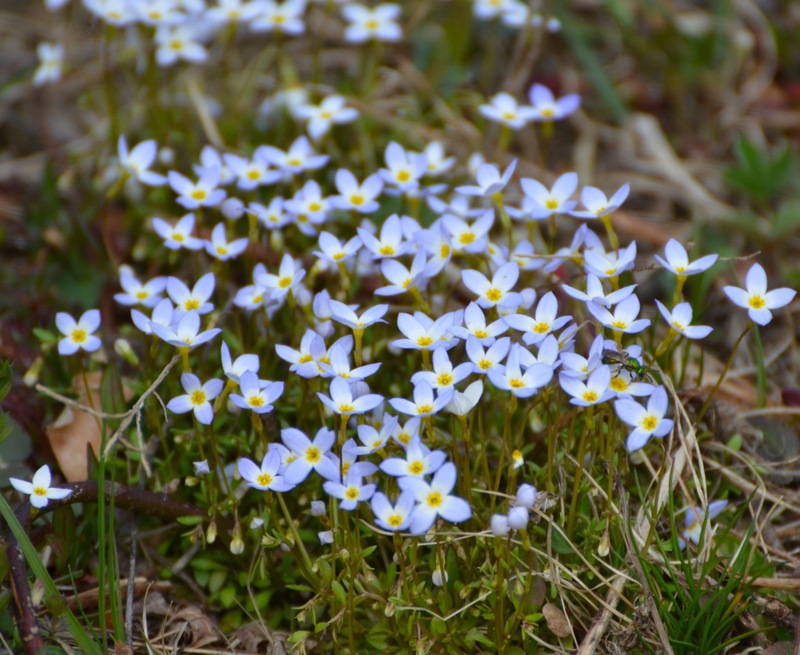 It is always a joy to see the clustered cheery faces of our native ‘Quaker Ladies’ or Bluets Houstonia caerulea, carpeting the fields. 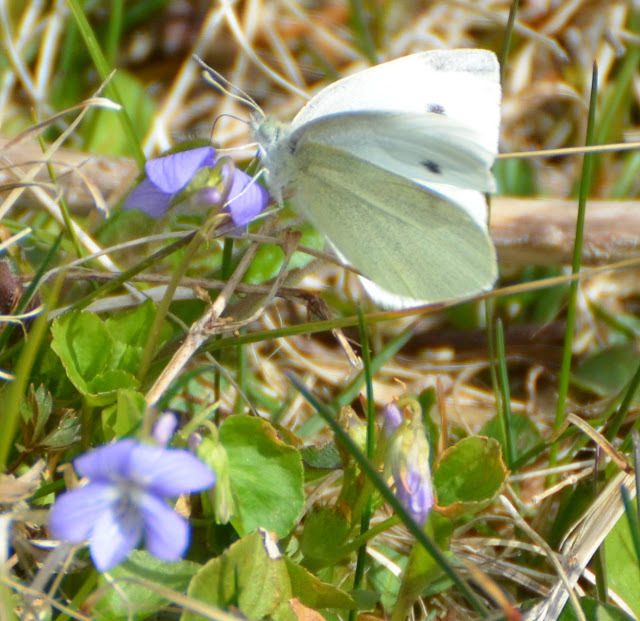 Even the Cabbage White Pieris rapae, is lively a bit earlier than usual. I hope she does not discover my tiny brassica seedlings sprouting in the veggie garden. Sweet violets are offering refreshing nectar. 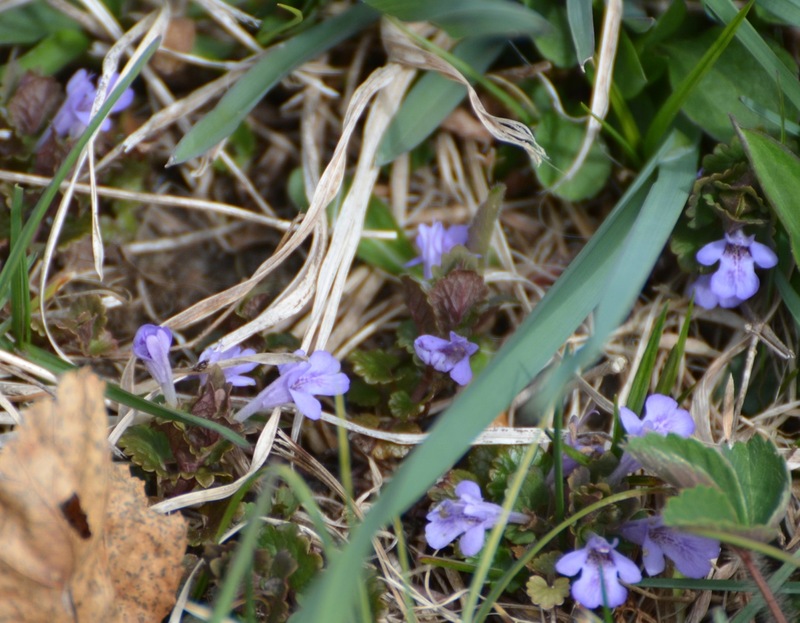 Even more tiny blooms can be found lower to the ground. I am forgetting what these are. Any ideas? 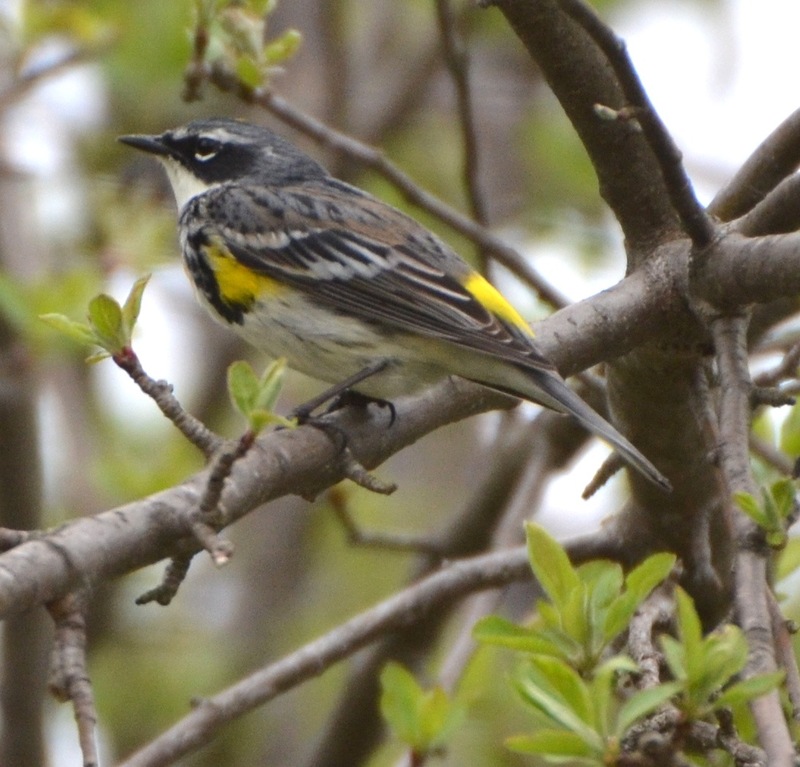 I have been eyeing this Yellow-rumped Warbler Dendroica coronata, for a couple of weeks now. Native Shadblow Serviceberry Amelanchier canadensis, blooms in the south field. Oh, I can never look upon these seemingly harmless fronds in the same way again. 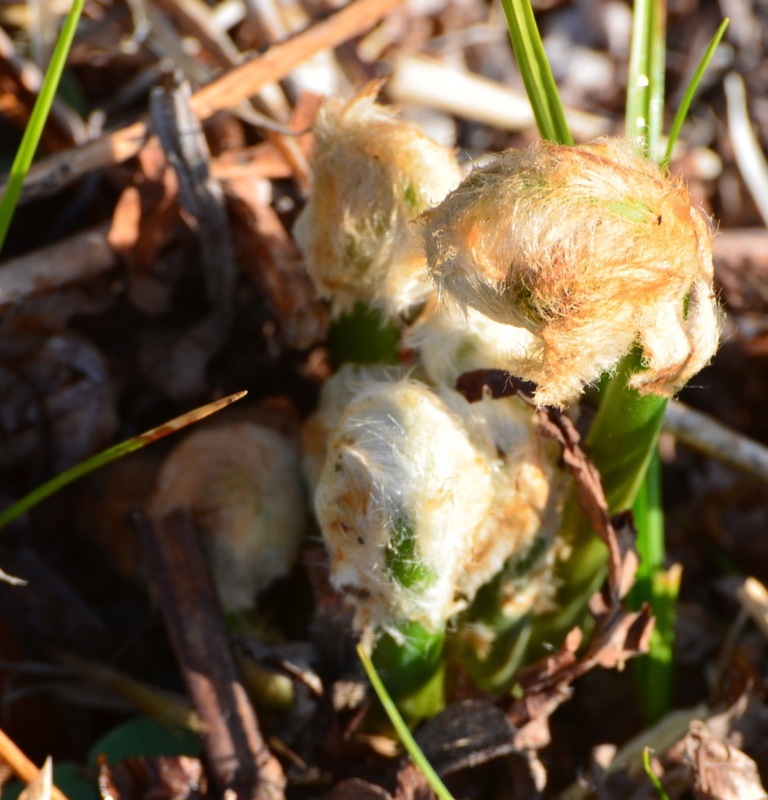 These could be Ostrich fern fiddleheads but it is too soon for me to determine. They are growing in a wet area in the north field. I have never harvested my own fiddleheads but did buy some recently at our co-op and prepared them for a lovely outdoor luncheon. Well, BEWARE (see link just above in this paragraph – I wish I had) . . . you must boil these for at least ten minutes and then sauté them. I did not know or remember this and paid a huge price for my ignorance. Luckily my dear friend J. did not taste any tainted coils. 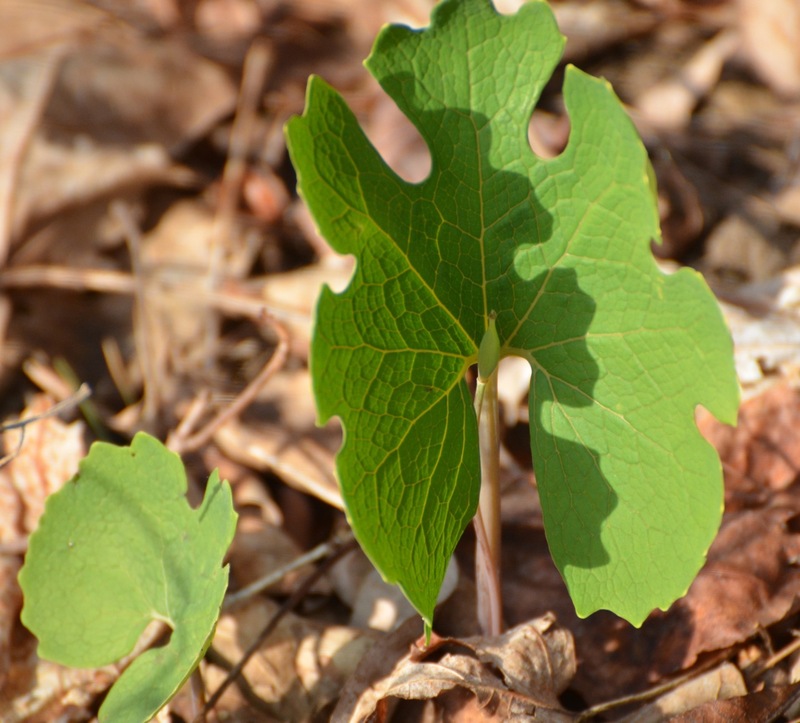 Bloodroot Sanguinaria canadensis, blooms came and went very quickly with the heat, but their butterfly like leaves (in this image anyway) are equally stunning. 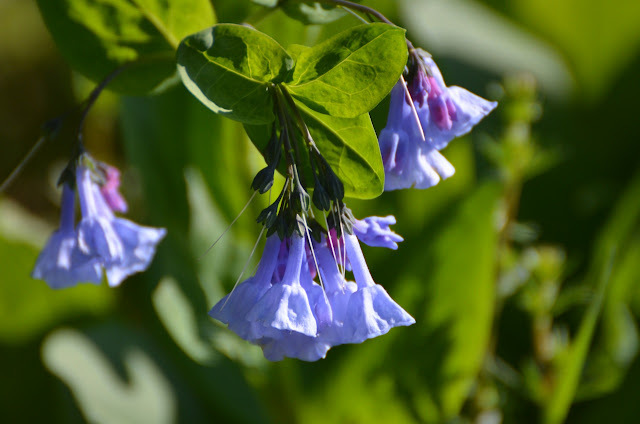 Virginia bluebells Mertensia virginica, are ringing in the north field. 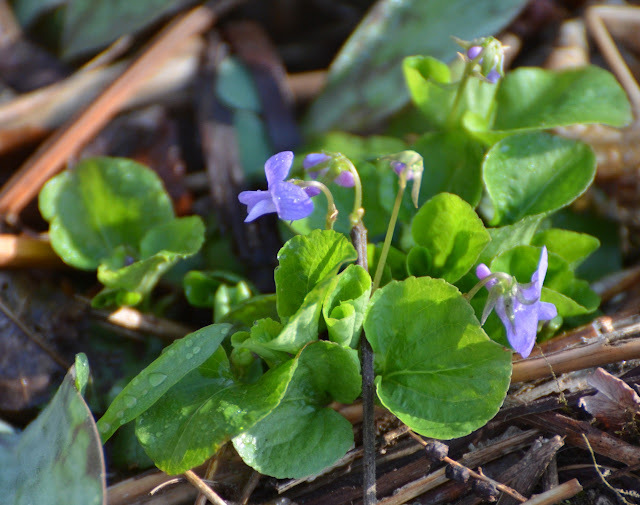 Violets Viola, are creating lovely carpets along the fields and garden floors. 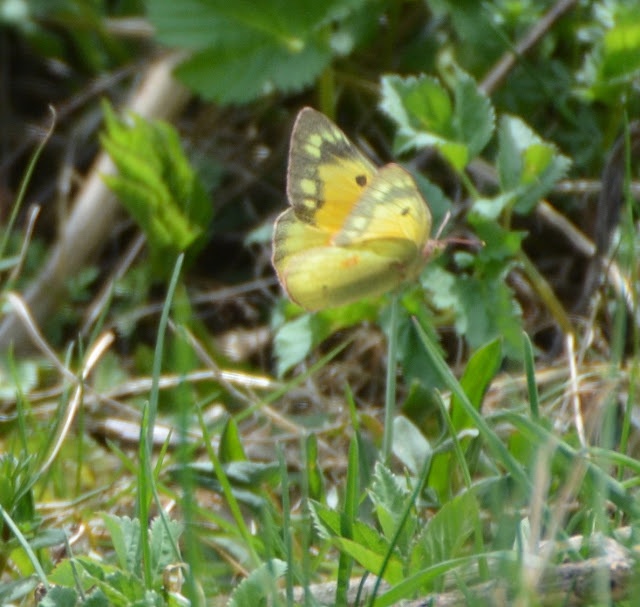 A first sighting ever for me here at Flower Hill Farm . 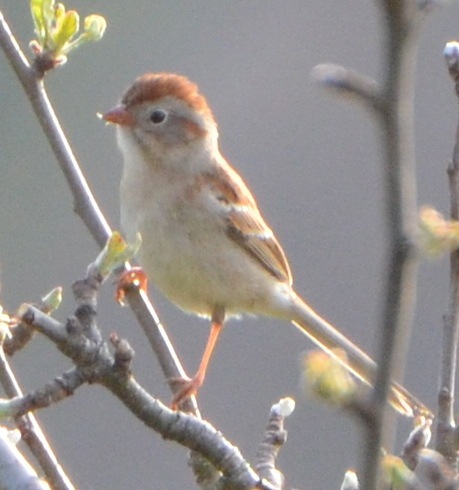 . . a Field Sparrow Spizella pusilla. There are millions of blueberry blooms promising a bounty of berries for humans, birds and other beasts. 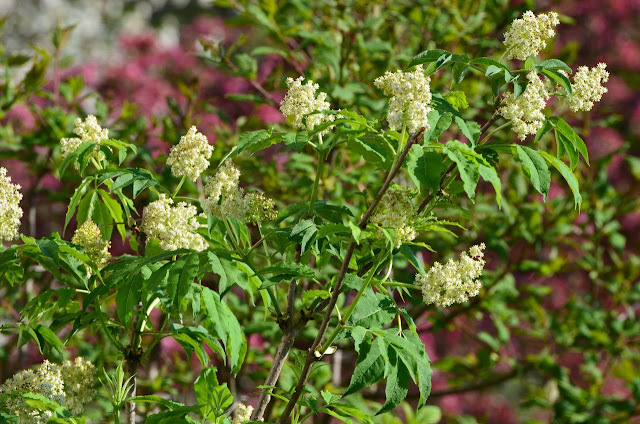 Red Elderberry Sambucus racemosa blooms outside the little studio terrace. A favorite berry for many birds. This wildflower post for Gail begins and ends with Trilliums. This grandiflorium lives happily beneath an apple tree. It is an overwhelming time of year in every way. So much to do and see . . . ever changing. Those of us who can engage in it and enjoy are so blessed.